This week the puppet got close to completion, we started finalizing the script and plan to shoot our first few scenes Tuesday. Overall things are going along the schedule we made for ourselves. We also got a marketing team together from the story crew, Chelsea T. is now the director of marketing. Beth W, Emily C, Taylor H, and Catherine C have also moved to marketing as crew. 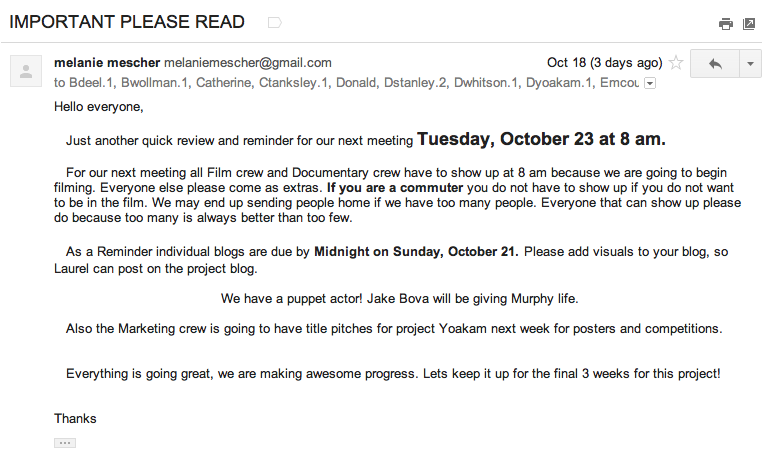 Thursday we finalized who would be the puppet, our script writer, Jake B. We also discussed having everyone able to come in to be extras in the film where they are needed. 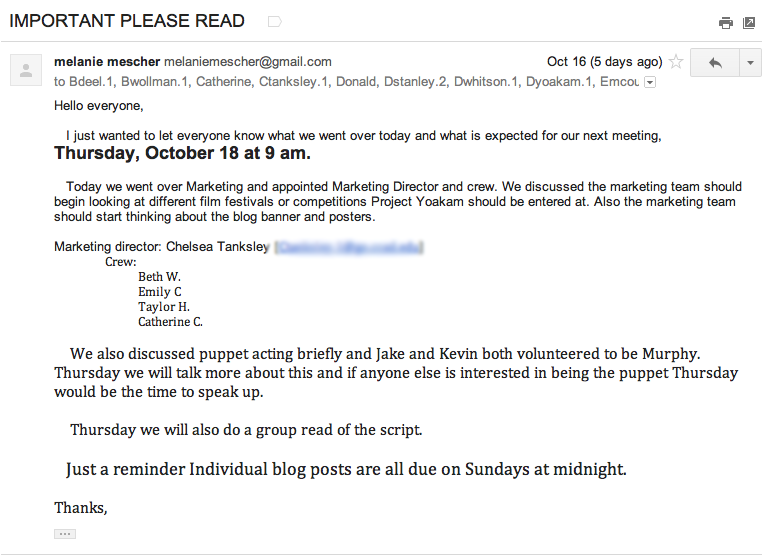 As a personal contribution to the project, I sent out emails after every meeting and help keep the meetings organized, and so Laurel can post the information on the blog in case people do not see their emails. I also checked in the Shayna M. the director of documentary, to see where they are at in their filming. Overall I'm really excited for this project, and I'm excited to start filming and seeing this puppet in action! Updated my Digication Check it out here!